COPD is the abbreviation for chronic obstructive pulmonary disease. COPD is a lung disease that results from obstructions in the airways of the lungs that lead to breathing problems. Although COPD is a progressive disease, early diagnosis and treatment may slow its progression. COPD may be complicated by chronic bronchitis or emphysema; some patients develop both problems that lead to additional breathing problems. Some clinicians consider chronic bronchitis and emphysema as simply further manifestations of COPD. How Does COPD Affect the Lungs? Damage to the lung tissue over time causes physical changes in the lungs and the airways become clogged with thick mucus. Compliance (the ability of the lung tissue to expand) becomes weakened because of this lung tissue damage. This weakened compliance or elasticity of the lungs means that oxygen cannot get to the air spaces where oxygen and carbon dioxide exchange occurs in the lung. This all leads to coughing to remove the thick mucus and eventually, difficulty in breathing. Smoking and secondhand smoke plays a significant role in causing COPD. About 85% to 90% of all COPD deaths are related to smoking. The other causes are related to environmental irritants (pollution), and a rare few are genetically passed through family members (for example, people with Alpha-1 antitrypsin deficiency [AAT] are likely to develop COPD symptoms). 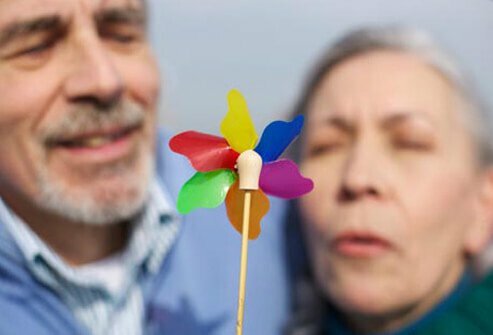 COPD Triggers: What Makes COPD Worse? 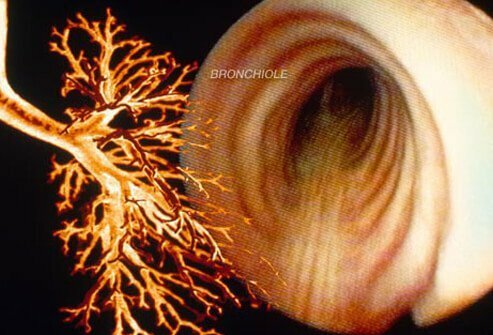 Many patients with COPD also develop chronic bronchitis. Chronic bronchitis is a cough that occurs every day and causes inflammation of the airways, mucus overproduction, and frequent viral or bacterial infections. Since smoking is often the cause of chronic bronchitis, the "smoker's cough" is a likely sign of COPD and chronic bronchitis. Treatment for chronic bronchitis can include bronchodilators, steroids, and oxygen therapy. Quitting smoking and avoiding air-borne bronchial irritants is also suggested. 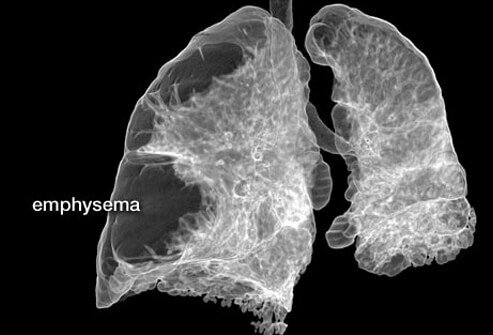 Emphysema is a disease of the lung. 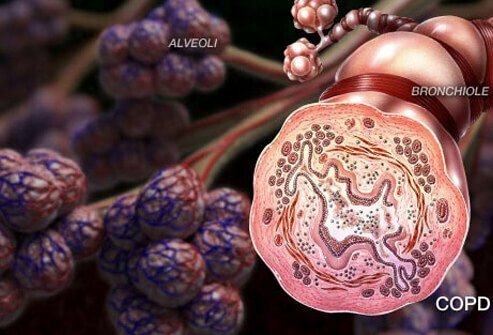 In emphysema, the alveoli (small air sacs in the lungs that facilitate the exchange of carbon dioxide and oxygen) are damaged and die. Carbon dioxide and oxygen is not exchanged, and eventually the alveoli die leaving holes in the lungs that result in lost lung tissue and increased symptoms of COPD. 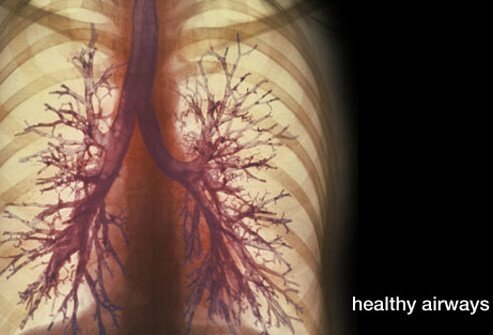 Symptoms of emphysema usually include shortness of breath and sometimes cough and wheezing. Treatment for emphysema may include bronchodilating medications, steroids, antibiotics, and oxygen. Quitting smoking is also strongly suggested. An important part of the diagnosis of COPD is the physical exam, the patient's breathing history, smoking history, and family history of COPD. The first simple, non-invasive test performed is usually with a pulse oximeter (shown in the picture on this slide). Oximetry measures the amount (% saturation) of oxygen in your blood. It is a way to test how much oxygen is being sent to parts of your body furthest from your heart, such as the arms and legs. 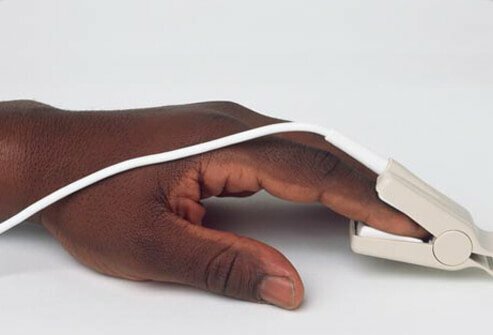 The pulse oximeter is placed on a body part (finger, ear lobe) and uses light to measure the oxygen levels. 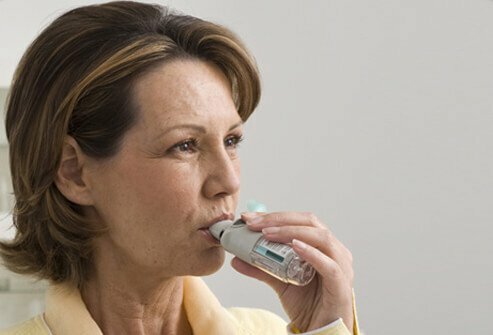 Spirometry is a test that measures how much air you can move in and out of your lungs over a short period of time, and is used to test for COPD. Spirometry involves breathing into a large hose connected to a machine, called a spirometer. The test can identify early COPD, and even help determine the stage of COPD in the patient. The test also shows how well certain medicines affect a person's COPD symptoms. 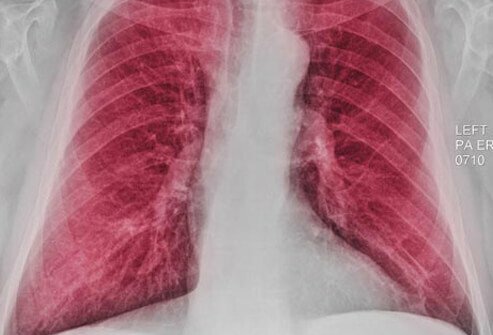 A chest X-ray may be able to show enlarged lungs that can occur in some patients with COPD (due to hyperinflation). 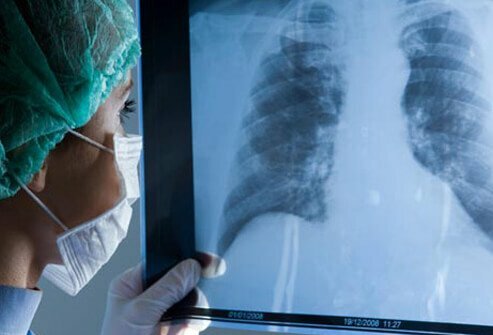 However, X-ray is more useful to help rule out or rule in other problems that may cause symptoms similar to COPD, such as pneumonia. Bronchodilators are medications that are commonly used to treat COPD by relaxing bronchial muscles. By relaxing these muscles, the airway becomes larger and allows air to pass through the lungs easier. Some are short-acting (4 to 6 hours) and are used when symptoms increase sharply, while longer-acting bronchodilators are used on a daily basis to treat more chronic COPD symptoms. People with COPD may use both types, depending on their symptoms. There are at least 10 different inhalers available; they may contain one or more medications that may reduce COPD symptoms (bronchodilators, corticosteroids or combinations of both medications). For example, Spiriva contains tiotropium while Stiolto Respimat contains tiotropium bromide and olodaterol and is a once-daily inhaler available to COPD patients. This treatment relaxes muscles in the airways to improve breathing, but it should not be used to treat asthma. Stiolto Respimat is proven to be more effective that Spiriva or olodateral alone. Before utilizing a once-daily inhaler, check with your doctor to help you choose the inhaler that is the best choice for your condition. Corticosteroids reduce the inflammation in airway tissues and thus allow the airway to open. This medicine is often taken by inhaler, but also may be administered by pills and/or injection. 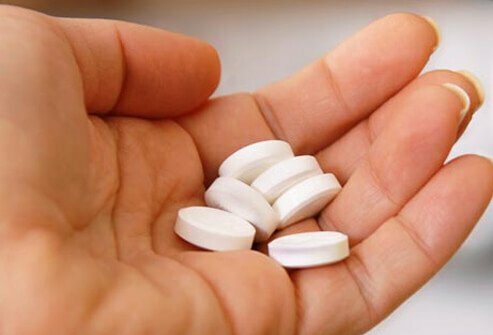 Oral corticosteroids are used to treat COPD when symptoms get rapidly worse. Inhaled corticosteroids are used to treat stable symptoms of COPD or COPD symptoms that are slowly getting worse. Both corticosteroids and bronchodilators are often prescribed to patients with COPD. It is possible to significantly slow COPD progression and to improve breathing with pulmonary rehabilitation classes. Part of this rehabilitation includes stress management and breathing control techniques. Pulmonary rehabilitation classes are taught by specialists who help improve one’s physical condition as well as how to manage COPD after completing the course. 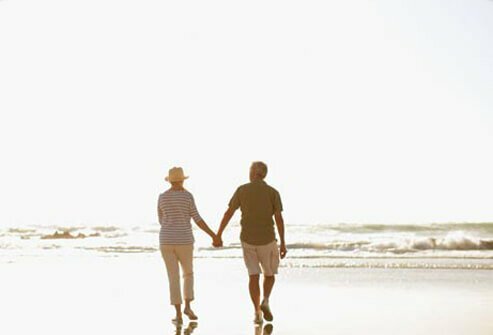 Pulmonary rehabilitation will educate clients on breathing techniques, medications, nutrition, relaxation, oxygen, travel, and how to stay healthy and avoid COPD exacerbations. This exercise involves breathing in through the nose (as if smelling something) for about two seconds. Then, purse the lips (like you are whistling or kissing) for two to three times longer than when you inhaled. Repeat as needed. This exercise makes exhaling easier for the person, and they also are able to extend exhalation, which provides improved oxygen and carbon dioxide gas exchange. The diaphragm is supposed to do most of the work when breathing, but COPD prevents the diaphragm from working properly. Instead the neck, shoulders, and back are used while breathing. Diaphragmatic breathing may seem more difficult than pursed-lip breathing and seeking help from a health care professional is recommended. Begin by sitting back or lying down. Relax your shoulders and place one hand on your chest and the other on your belly. Inhale through the nose for two seconds. During inhalation, your belly should move outward and more than your chest. Exhale slowly through pursed-lips and gently press on your belly. This helps get the air out by pushing on the diaphragm. Repeat as needed. Shortness of breath may cause you anxiety and you might hold your breath. Coordinated breathing helps to prevent this from happening. Before you are able to begin an exercise, inhale through the nose. Exhale, through pursed-lips, during the most strenuous part of the exercise. Coordinated breathing can be practiced during exercise or when feeling anxious. Shortness of breath can be caused by air getting trapped in your lungs and deep breathing can prevent this from happening. This exercise will also allow you to breathe in more fresh air. Begin by sitting or standing with your elbows slightly back, allowing your chest to expand more. Inhale deeply and hold your breath for a count of five. Exhale slowly and deeply until all the air has been released. Repeat as needed. The huff cough helps you cough up mucus that had built up in your lungs. COPD can make it difficult to cough without getting tired, but the huff cough makes it easier to cough up mucus. Begin by sitting in a comfortable position and inhale slightly deeper than normal. Exhale while making a “ha, ha, ha” sound, as if you are trying to steam up a mirror. This allows you to become less tired when coughing up mucus. Repeat as needed. COPD lowers oxygen in the blood. 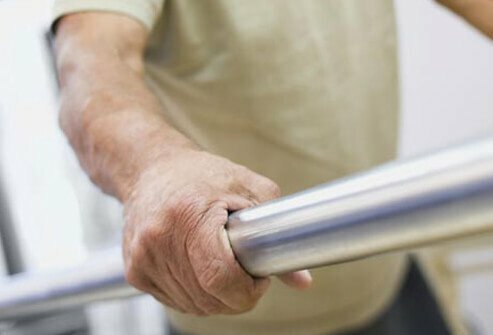 As COPD progresses, many people have oxygen levels so low that they get very short of breath doing simple everyday tasks like walking a few steps or just standing up for a few minutes. 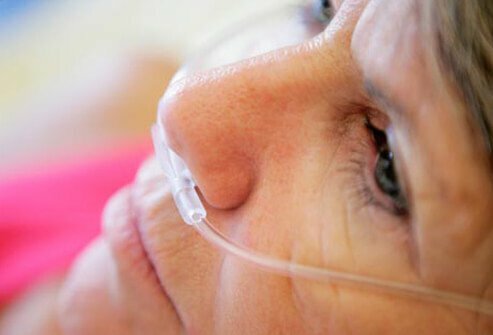 These people with COPD usually get some relief with supplemental oxygen administered through nasal tubing. Using oxygen at home for more than 15 hours a day can increase quality of life and help COPD patients live longer. Care must be taken when near someone using supplemental oxygen because it is flammable. Smoking, lit candles, or other open flames or sparking items (such as sparklers or gas cooking flames) should not be near someone using supplemental oxygen. 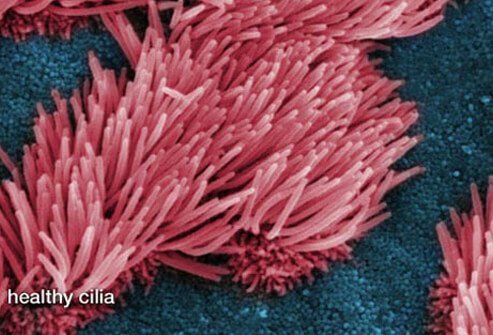 Unfortunately, partially or completely blocked airways full of mucus are good places for pathogens (agents that causes disease such as a virus or bacterium) to occupy and multiply. People with COPD are at a higher risk for infections because they have partially or completely blocked airways. If fever accompanies an increase in shortness of breath, people with COPD should see their doctor to avoid serious infections. 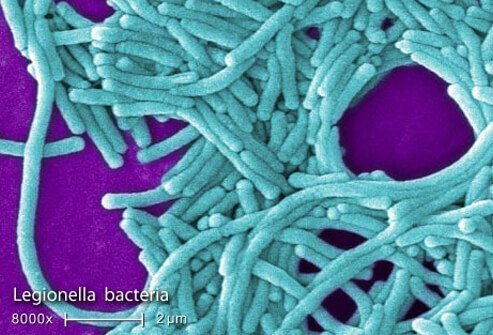 Antibiotics may be prescribed for bacterial infections. Surgery is not often used to treat people with COPD, but some people may benefit from certain procedures. Typically, a bullectomy is meant for patients with COPD related to emphysema. When the air sac walls are destroyed, larger air spaces (bullae) will form. A bullectomy will remove the bullae and allow some lung expansion. Lung volume reduction surgery (LVRS) takes place in patients who suffer from COPD related to emphysema. This procedure reduces the lung size by removing damaged tissues. The remaining lung and surrounding muscles are able to work more efficiently and allow functional airways to do better gas exchange. A lung transplant is typically performed in patients with very severe COPD. During a lung transplant, the damaged lung is removed and replaced with a healthy lung. The procedure improves COPD symptoms and the quality of life for some select patients (average survival is about 5 years after transplant). However, a lung transplant can cause infections and possibly death if the body rejects the new lung. 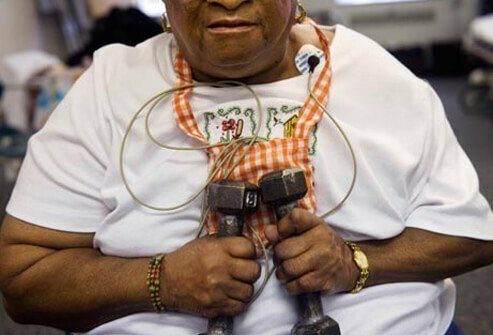 All people with COPD are usually advised to exercise, even those on supplemental oxygen. Walking is considered by most clinicians as the best form of exercise to begin with and to develop endurance. 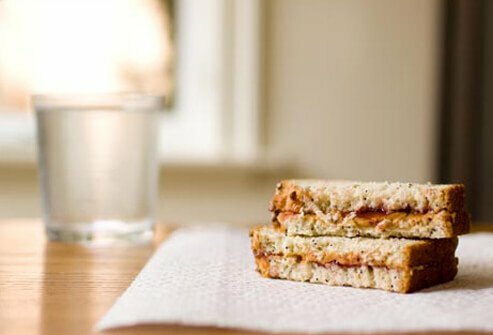 Patients can start slowly and gradually increase their endurance. Check with your doctor about exercising before you begin any exercise program. The prognosis for people with mild COPD is very good, but the prognosis may worsen as the severity of staging increases. The average life expectancy of a COPD patient who undergoes a lung transplant is about five years. Patients diagnosed with COPD have a much better outlook if they quit smoking. COPD prognosis is dependent on the stage of the illness and the health of the patient. The BODE Index is a way to measure a patient’s COPD prognosis. 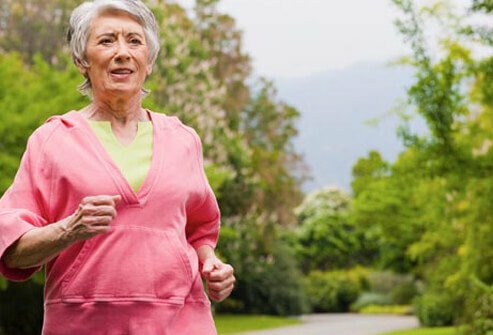 This test takes into account the patient’s body mass index (BMI), airway obstruction (measured by FEV1), dyspnea (measured by the MMRC dyspnea scale), and exercise tolerance (measured by a 6-minute walk). The BODE Index can assess a COPD patient’s life expectancy. There are four stages of COPD and each stage has different symptoms. 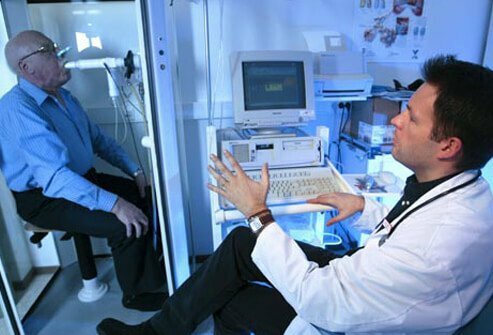 Patients will usually participate in a pulmonary function test (PFTS) when being diagnosed with their stage of COPD. As mentioned previously, smoking, the leading cause of lung cancer, is also a major cause of COPD. 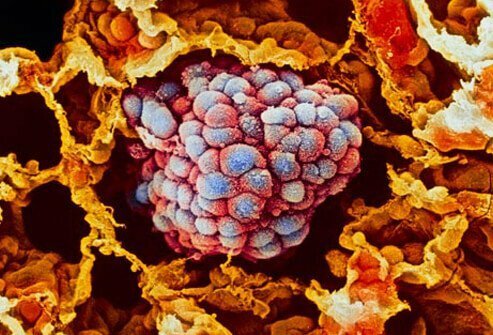 Consequently, it is not surprising that many people with COPD also develop lung cancer. What is the best thing you can do to prevent COPD and lung cancer? Stop smoking, now. People who are diagnosed with COPD and who continue to smoke will have COPD progress faster. 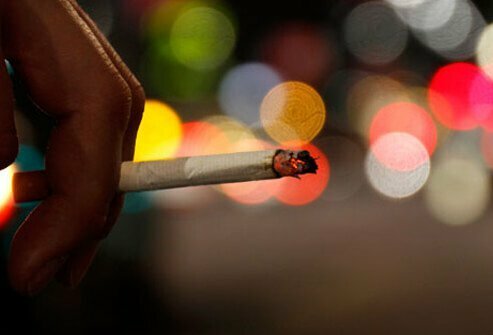 Smokers who quit will have COPD progress slower. Smoking cause the airway tissues to become damaged or destroyed. In addition, the many toxins in cigarette smoke can increase blood pressure, heart rate, and increase the risk for lung cancer. Contact your doctor immediately if you develop increasing symptoms of COPD and develop a fever. 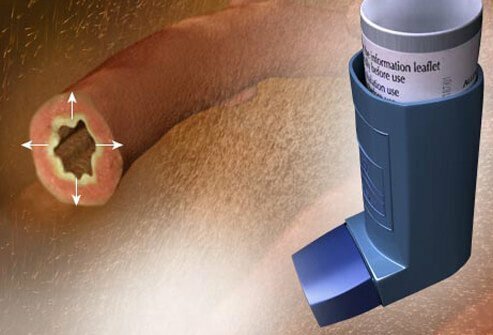 Allergologia Et Immunopathologia: "Triggers of Asthma and COPD: Are They Different?" American Association for Respiratory Care: "Stages of COPD"
American Lung Association: "Chronic Obstructive Pulmonary Disease (COPD) Fact Sheet", "Emphysema", "Understanding Chronic Bronchitis"
American Thoracic Society: "What Kind of Medications Are There For COPD?" Boehringer Ingelheim: "FDA Approves Boehringer Ingelheim’s STIOLTOTM RESPIMAT Inhalation Spray as Once-Daily Maintenance Treatment for COPD"
COPD Foundation: "Breathing Techniques", "Pulmonary Rehabilitation"
Medscape: "Chronic Obstructive Pulmonary Disease"
Oklahoma Department of Human Services: "Stages of COPD and Spirometric Classification"